I’ve been dying to try out this fun new tool called the Stamping Gear from Inkadinkado ever since I saw the preview video on-line from CHA. This cool tool set consists of circular and oval gears and cogs with notches around the inside and/or outside edges, with a clear paddle that works like a clear stamping block that fits into the notches so you can make great designs and patterns by stamping around the edges of the tool. 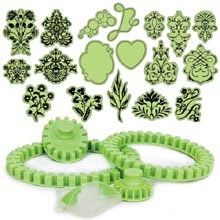 The kits come in intro and deluxe sets with gears, cogs and rubber cling stamps or you can buy each piece separately in addition to many different add on stamp sets as well. So you can mix and match for what sizes and styles work for you. Plus it works with all other cling stamps from Inkadinkado. I found the tool really easy and super fun to work with. The bottom of the wheels have a no slip foam on the bottom so they stay in place and don’t move around while your working. The paddle has grids so it’s easy to line up your stamps. One tip I discovered is try placing your project paper on a scrap piece of paper so you can turn the scrap paper while you work, instead of the project alone, making it easier to get all the way around the tool, it helps reduce the chance you’ll bump or move your project while your stamping. Now on to my projects. 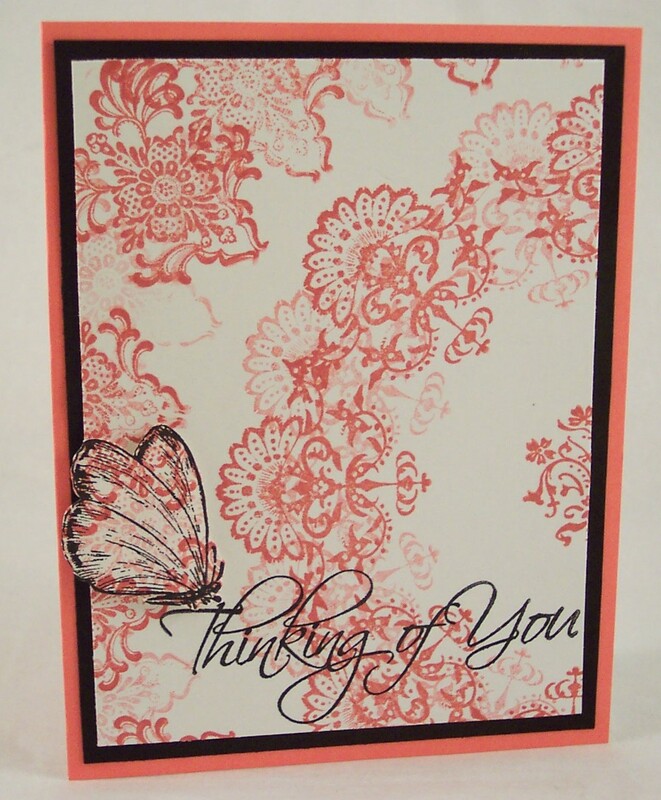 For the card shown at the top I used the Flower Petals stamp set and the smaller cog. I ink up one of the petals with two colors of ink and stamped around the tool. 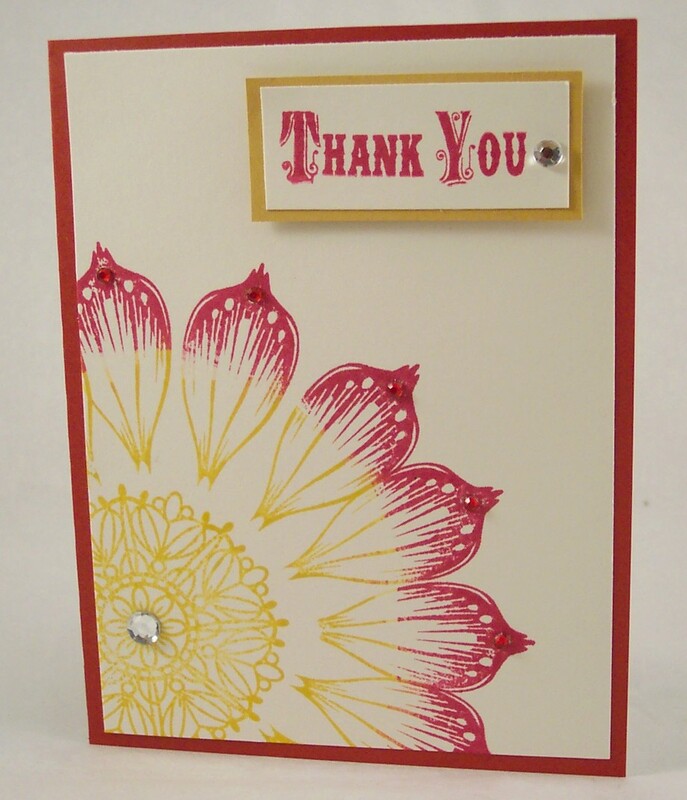 I added a doily stamp in the center (also from Inkadinkdo) and a Thank You stamp in the corner. I embellished the card with clear and red rhinestones. 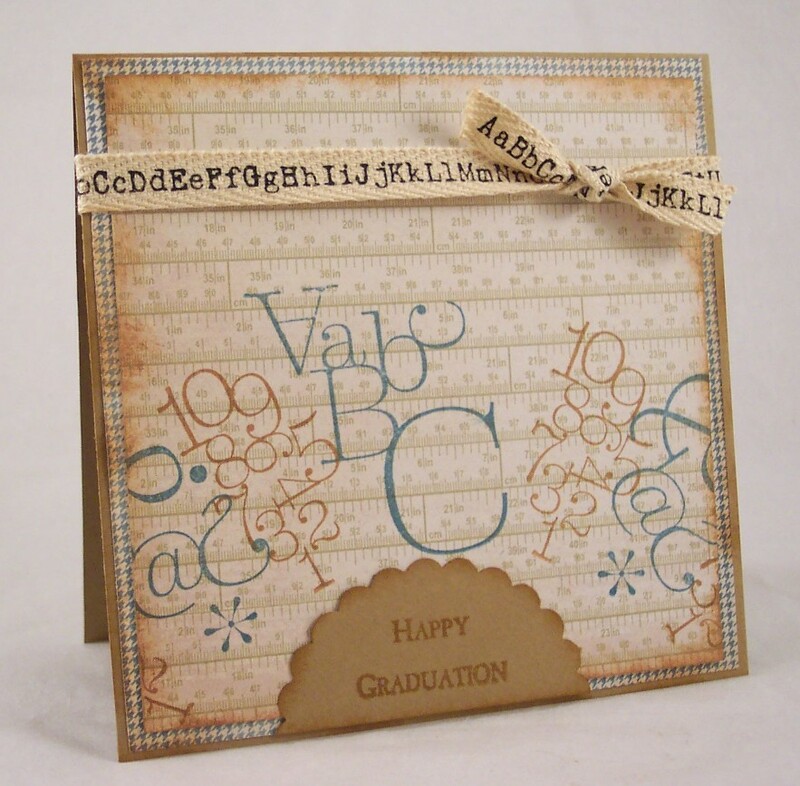 On this Graduation card I used the Typographic set and the small oval cog. This set is perfect for graduation, teacher cards, back to school, etc. For this next card I made a large pattern all over my entire sheet of cardstock using one of the sets in the Deluxe Kit with the large circle gear and then the small cog in the middle. I double stamped every other time for a softer faded look. I made myself a lovely sheet of pattern paper that I could then trim for my card background. I also stamped the butterfly (another Inkadinkado stamp) on the pattern paper and cut it out. For my last project I wanted to make something other than a card so I made a fancy fall wreath for my door. 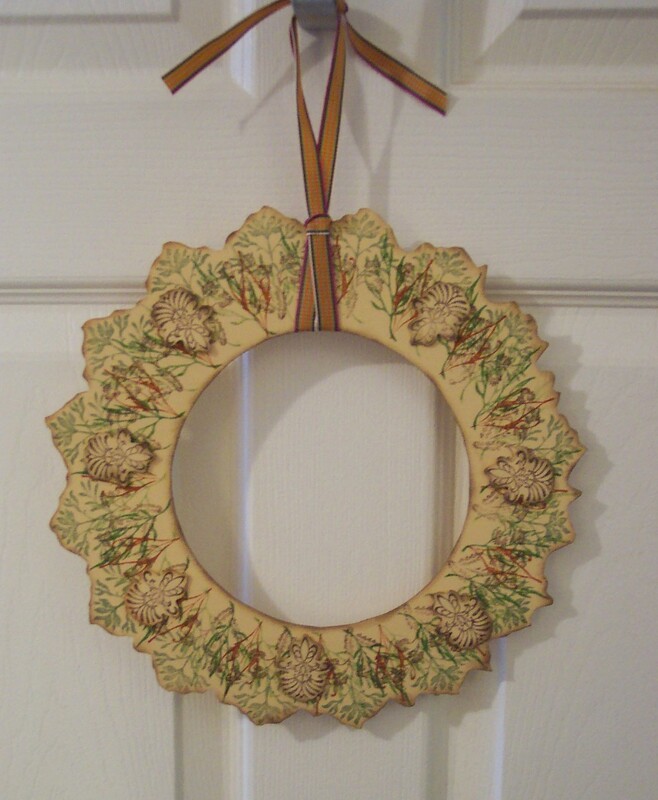 I used the large round gear and several different stamp sets with fall ink colors, then cut it out and hung it by a ribbon. The possibilities with the Stamping Gear are really endless. There are so many techniques you can try for totally different looks, like skipping spacing, double stamping, embossing resist and things like moving the stamp onto a different position on the paddle will give different looks. Scrapbook layouts are great for this tool too, making personalized pattern papers in large sizes is so easy. You can also make great home decor and party projects like book covers, wreaths, stamped table cloths and more. I hope you enjoyed my projects and be sure to check back here in a few days we just might be having a Stamping Gear Giveaway!! And click here to find all the Stamping Gear products available from Inkadinkado. Love your projects. I got my SG last week, and haven’t tried it yet. 🙁 Too busy at work, and too tired at home. Thanks for sharing your inspiration. I bought some pieces of the SG, but I haven’t had the luck that you did. Maybe I’m just not uber talented… sigh. This looks like a great product. Thanks for the giveaway! OOOO I been watching this I WOULD LOVE TO WIN IT.. Thanks for the chance I LOVE yours!!! I Love your Projects! I have been looking for information on the Stamping Gear. It looks like so much fun. I can see where this tool could work for so many projects. Thanks for the chance to win such a wonderful tool. This could create so many projects.